Every step of the way, be it in the subtle nuances of direction and framing, or the sometimes jarring yet exquisite use of lighting, or the poignant and careful choices of music (Mozart and pop songs mixed with Nicholas Britell’s fantastic original score), Jenkins’ quiet, steady, thoughtful film challenges the viewer’s expectations. I instantly thought I knew where the film was headed with Chiron and Juan, but Juan was not your typical predatory drug dealer looking to recruit a troubled boy, and Chiron was not your typically troubled kid from the ghetto. Juan had an earnest desire to be a father figure, and his (and his girlfriend Teresa’s – played nicely by singer Janelle Monae) humanistic open-mindedness about Chiron’s identity crisis and familial problems challenged every stereotype and made that first chapter’s closing scenes amongst the most heartbreaking and real. Likewise the normal histrionics of playing an addict escape Naomi Harris with Jenkins allowing her to quietly seeth, her presence like that of a ghost, and occasionally a banshee, whose screams are nightmarishly drowned out by the pulsing of blood through Chiron’s skull as he tries to process her substance-sourced inhumanity. The film is aesthetically artsy and thematically slow-burning, but in an understated way that never distances the audience from the characters. Strangely, huge swaths of the characters’ lives are left out: Did Chiron go to jail? What happened to Juan? These are plotlines that in lesser films would’ve filled the screen time in melodramatic swells. The film is largely plotless in a way that normally frustrates those thirsty for a moving story, but doesn’t here. You think you don’t get to know the characters fully. Yet in the brilliant choices of what small, humane moments Jenkins chooses to show (and almost equally as important…what he doesn’t show), as my wife put it so succinctly after the film had ended, “You felt the characters.” There was an authenticity. A heart. A universal sense of the human condition. This could’ve easily been an insular niche film, or an overwrought melodrama. 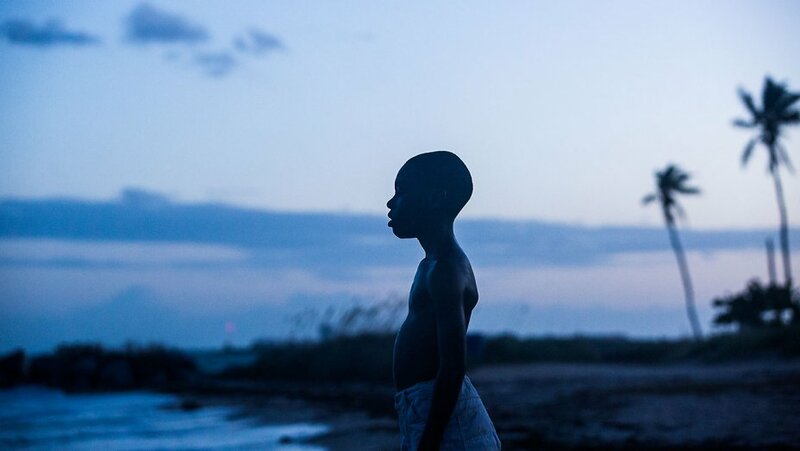 Instead, Moonlight is a wonderful film, beautifully rendered, that speaks to the universal pains of human existence. Its ending is the complete antithesis of its opening drug-deal scene, in hindsight, itself a keen play on popular expectations of minority lead coming-of-age films. We leave the theater like Jenkins leaves the two characters of Chiron and Kevin. Quietly. Hopeful. This entry was posted in Art-house Cinema, Movie Reviews, Movies, Psychology and tagged Alex Hibbert, Ashton Sanders, Barry Jenkins, Coming-of-age, Janelle Monae, Mahershala Ali, Miami, Moonlight, Naomie Harris, Nicholas Britell, Trevante Rhodes. A wonderfully streamlined and superbly framed appreciation of this towering work, a film that does make a strong play for Film of the Year. The direction was miraculous and the pacing all-enveloping. As a result the film builds what is already a resonating mise en scene into a work that leaves you utterly shattered. Your deliberate, measured reaction here – one fully attuned to the film’s artistry is deeply appreciated David. I enjoyed reading your review and share many of your conclusions. It is already in danger of being over-hyped. For me, this film is a tapestry of lyrical moments and finely wrought detail on a journey for self-identity. Films like this do not come up often. Its not an original narrative in the least, but its artistry is in the filming and directing; its a film you savour for its pieces rather than whole. Thanks! You are right about it being a “tapestry of lyrical moments and finely wrought detail.” I find some of those creeping back into mind months later…great stuff. Thank you David; this film certainly does have a haunting quality.